Earlier this year VC&A unveiled the impressive and beautifully conceived Poetic Wish five minute repeating watches – which rank amongst the most notable watches of the year, across all categories and brands. 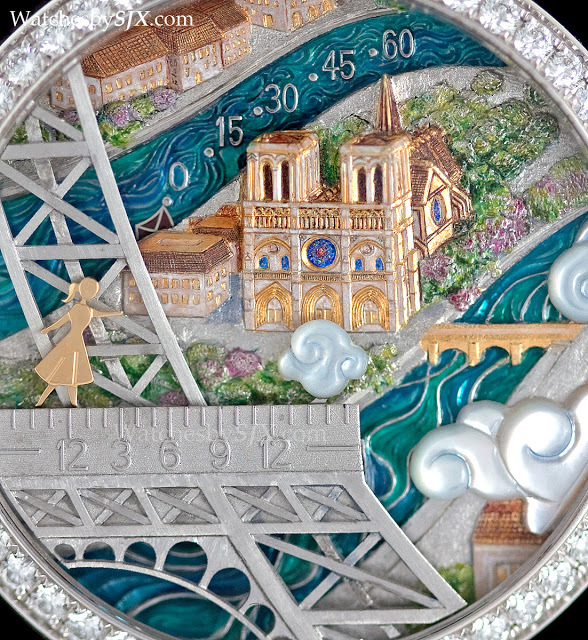 Like so many of its earlier feminine complications, most notably the Pont des Amoureux Poetic Complication, the Poetic Wish was developed by Jean-Marc Wiederrecht of Agenhor. The Poetic Wish, like VC&A’s other ladies’ complications, is a watch developed with the lady client in mind, rather than a movement from a men’s watch inside a smaller case. 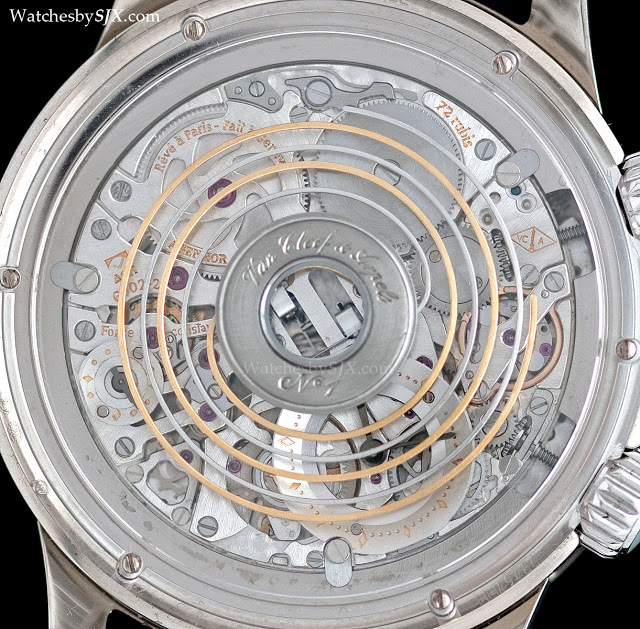 And unlike the earlier movements developed by Agenhor for VC&A which were based on JLC movements, the Poetic Wish movement is an entirely new calibre. Presented as a pair – a smaller, 39 mm Lady Arpels and the 43 mm Midnight for men – the Poetic Wish watches both contain the same calibre. 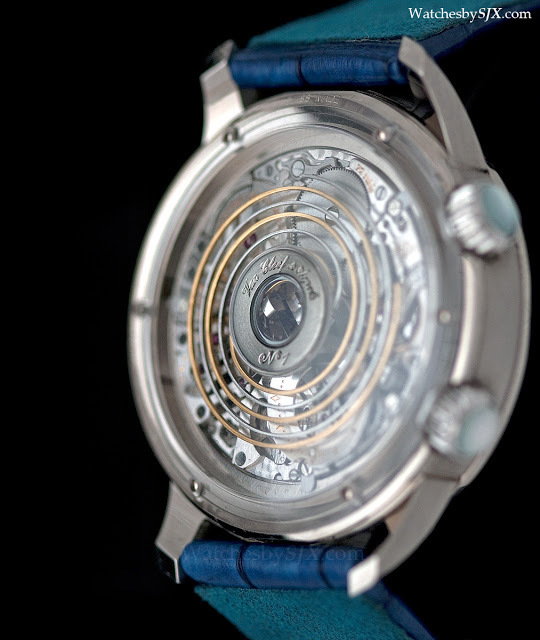 Both are five minute repeaters with constant force mechanism, and automaton display. And both repeaters function in the same manner. 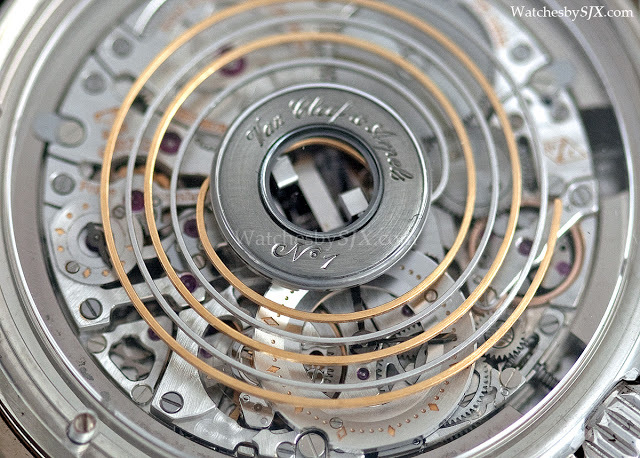 When the repeater is activated by turning the crown at two o’clock, the figure on the dial moves to indicate the hours. 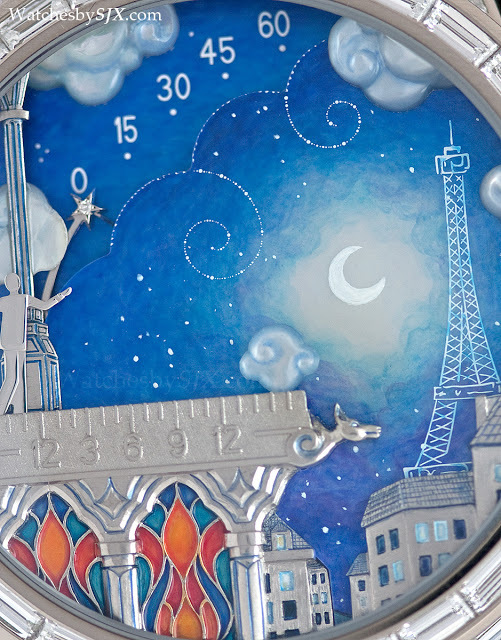 On the men’s Midnight watch, the male figure moves along the roof of Notre Dame Cathedral, on which the hours are shown in relief. 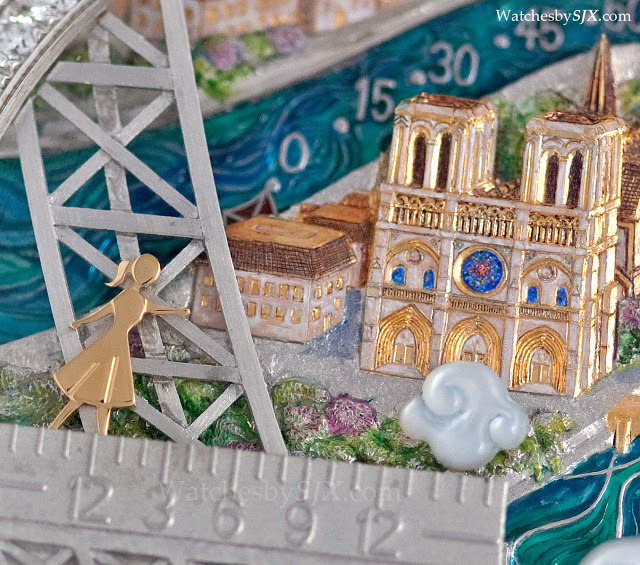 The hero is moving in the direction of the Eiffel Tower, where his beloved stands. 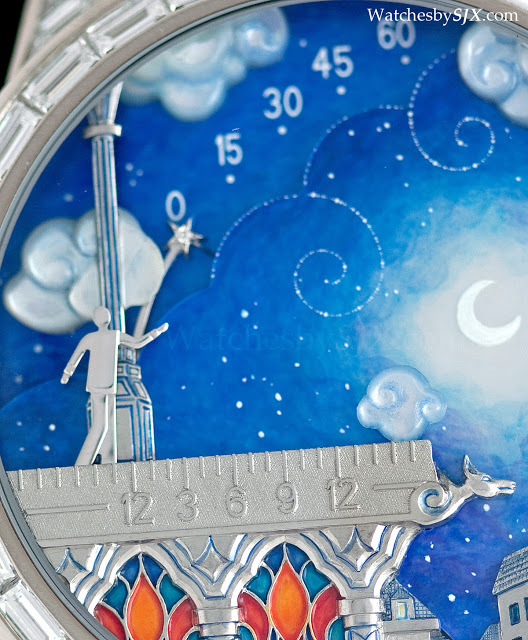 Immediately after, another automaton, a shooting star on the Midnight Poetic Wish, also moves towards the Eiffel Tower to indicate the nearest five minutes. 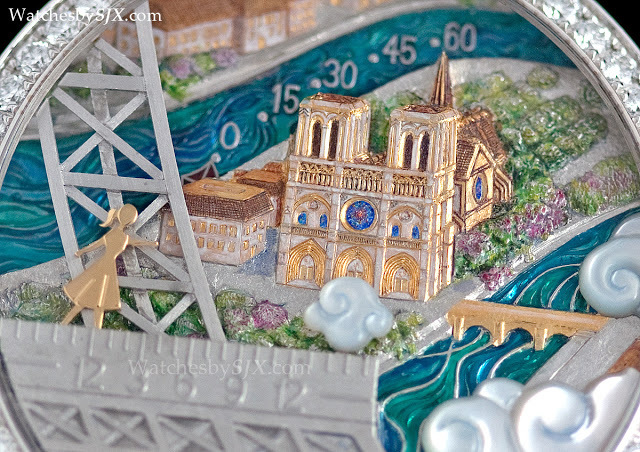 On the Lady Arpels, the hours are indicated by the female figure standing on top of the Eiffel Tower, while the minutes are shown by a kite flying above the River Seine, both of which head towards Notre Dame where her hero is. The idea is quite charming. All of these automatons move while the repeater chimes, and the time it takes for the automatons to complete their little dance is just enough time to make a wish, according to Mr Wiederrecht. And after indicating the time, all of the automatons move back to their original positions, meaning they are essentially linear retrograde mechanisms. 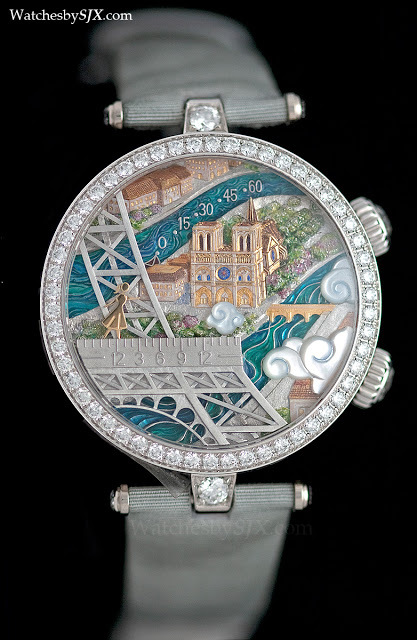 Both Poetic Wish watches have extravagant dials with mother of pearl inlay, relief engraving and hand-painting. 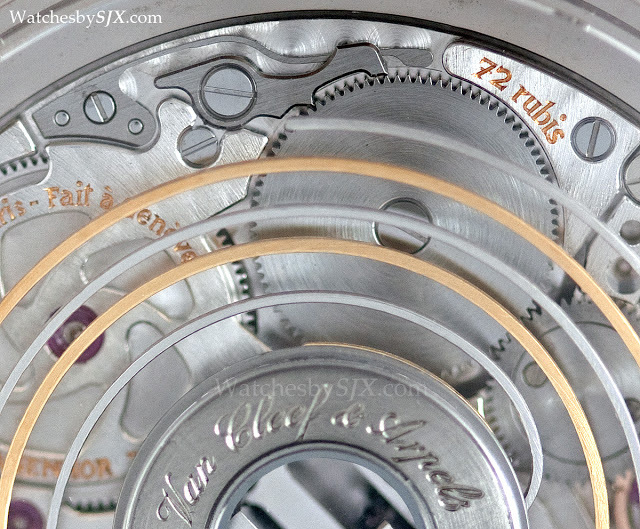 In case reading, or hearing, the time like this is too much of a hassle, the time can also be read over on the back where there is a seconds subdial as well as an hours and minutes display. 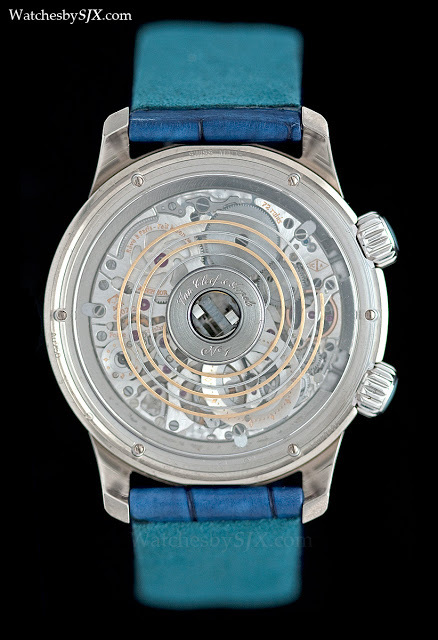 The time display on the rear is not very legible, and this is where it gets even more interesting as the unconventional movement construction is what is obstructing the time. 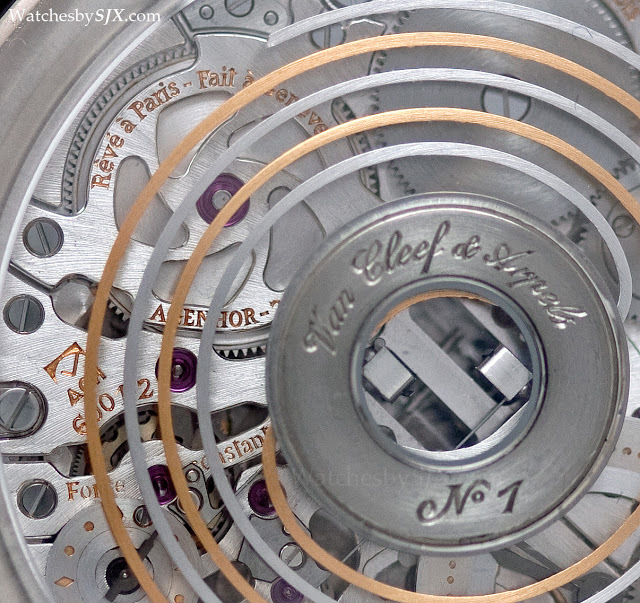 The repeater gongs are above the movement, rather than around it as is typical. In the centre sit the repeater hammers, which are perpendicular to the bridges. 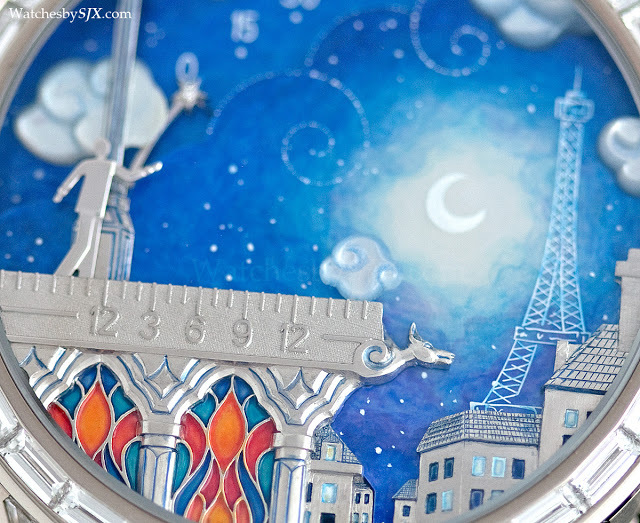 In addition, the sapphire crystal back extends almost to the edge of the case. 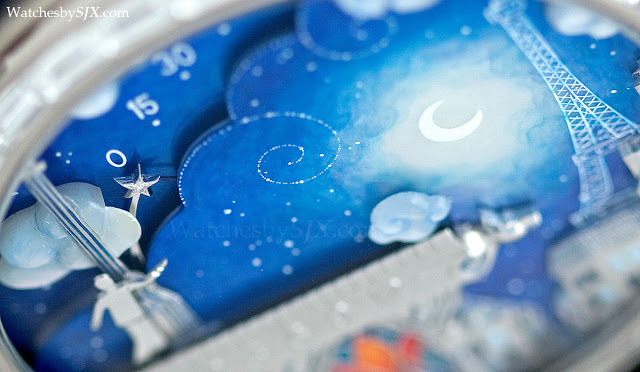 The Poetic Wish repeaters demonstrate uncommon ingenuity and creativity. VC&A and Agenhor deserve high praise for this pair of wonderful timepieces. 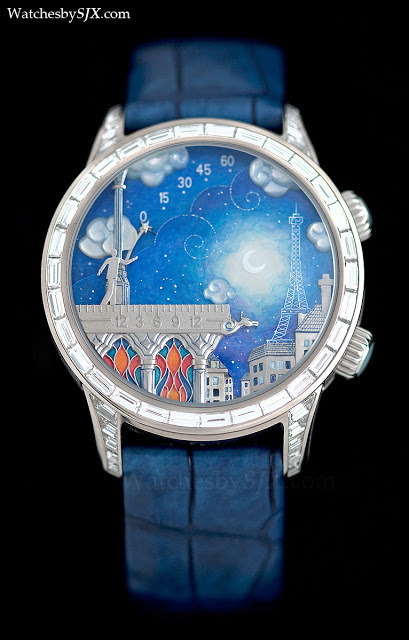 The Midnight Poetic Wish retails for EUR395,000 while the Lady Arpels is EUR350,000.